Biodegradable disposable cups for hot and cold drinks, ecological, recyclable and compostable. Avana cup made of solid board hot combined with bioplastic film. Suitable for coffee and tasting. For hot and could beverages. Avana cup made of solid board hot combined with bioplastic film. Particularly suitable for a traditional use 'table' and draught of small size. For could and hot beverages in general. Palm Leaf cup made of solid board hot combined with bioplastic film. Specific for Italian Espresso. For hot and could beverages. Palm Leaf cup made of solid board hot combined with bioplastic film. Suitable for coffee and tasting. For hot and could beverages. Palm Leaf cup made of solid board hot combined with bioplastic film. Particularly suitable for a traditional use 'table'. For could and hot beverages in general. Palm Leaf cup made of solid board hot combined with bioplastic film. Particularly suitable for a traditional use 'table' and draught of small size. For could and hot beverages in general. Palm Leaf cup made of solid board hot combined with bioplastic film. Particularly suitable for draught of medium size. For could and hot beverages in general. 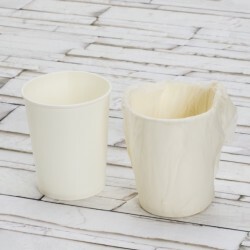 White Cup made of solid board hot combined with bioplastic film. Specific for Italian Espresso. For hot and could beverages. White cup made of solid board hot combined with bioplastic film. Suitable for coffee and tasting. For hot and could beverages. 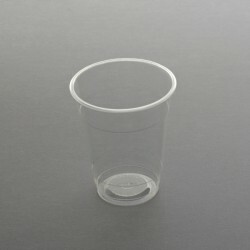 White cup made of solid board hot combined with bioplastic film. Particularly suitable for a traditional use “table”. For could and hot beverages in general. 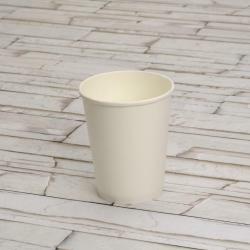 White cup made of solid board hot combined with bioplastic film. Particularly suitable for a traditional use 'table' and draught of small size. For could and hot beverages in general. White cup made of solid board hot combined with bioplastic film. Particularly suitable for draught of medium size. For could and hot beverages in general. Bioplat cup made of solid board hot combined with bioplastic film. Suitable for coffee and tasting. For hot and could beverages. 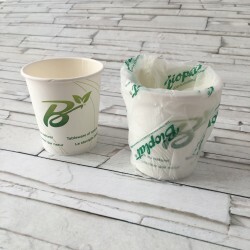 Bioplat cup made of solid board hot combined with bioplastic film. Particularly suitable for a traditional use “table”. For could and hot beverages in general. Bioplat cup made of solid board hot combined with bioplastic film. Particularly suitable for draught of medium size. For could and hot beverages in general. Palm Tree cup made of solid board hot combined with bioplastic film. Particularly suitable for a traditional use 'table'. For could and hot beverages in general. Palm Treecup made of solid board hot combined with bioplastic film. Particularly suitable for a traditional use “table”. For could and hot beverages in general. Palm Tree cup made of solid board hot combined with bioplastic film. Particularly suitable for draught of medium size. For could and hot beverages in general. Bioplat cup, individually wrapped in a bioplastic packaging, made of solid board hot combined with bioplastic film. Particularly suitable for a traditional use “table”. For could and hot beverages in general. 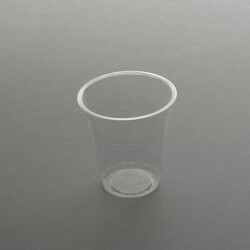 Bioplastic small cup 30 ml, is a tasting glass, suitable for limoncino. It is also suitable for mayonnaise and ketchup. Bioplastic standard cup 150 ml. Only for could and warm beverages. Recommended for water, wine and sodas. Bioplastic cup 150 ml. Only for could and warm beverages. Bioplastic Basic Line cup 200 ml. Only for could and warm beverages. 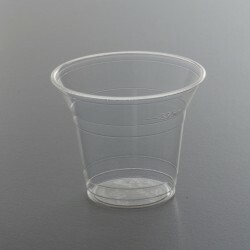 Bioplastic cup 180-200 ml, recommended for water, wine and beverages in general. Lid 1200COP available separately. Only for could and warm beverages. 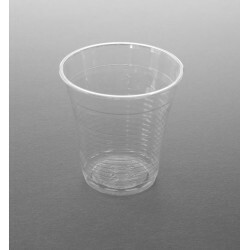 Bioplastic professional cup 200-250 ml, recommended for water, wine and draught of small size. Lid 1200COP available separately. Only for could and warm beverages. Bioplastic cup 300 ml, recommended for beverages in tin. Lid 1345COP, 2827, 11151COP, 11645COP available separately. Only for could and warm beverages. Bioplastic cup 400 ml, recommended for draught of medium size. Lid 1345COP, 2827, 11151COP, 11645COP available separately. Only for could and warm beverages. Bioplastic cup 500 ml, recommended for draught of big size. Lid 1345COP, 2827, 11151COP, 11645COP available separately. Only for could and warm beverages. Bioplastic PLA transpared lid for cup 1200 and N391. Only for could and warm beverages. The straw hole is closed, to be pressed for opening. 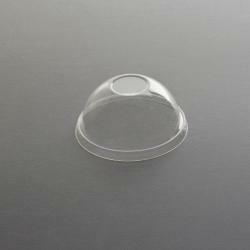 Bioplastic PLA transpared lid for cup 1300-1400-1500-2749-10176-10051. Only for could and warm products. The straw hole is closed, to be pressed for opening. Transparent bioplastic shaker, suitable for fruit salad, smoothies, milkshakes, yogurt. Lid 1345COP, 2827, 11151COP, 11645COP available separately. Only for cold products. 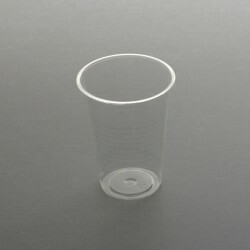 Transparent bioplastic dessert cup, suitable for fruit salad, smoothies, milkshakes, yogurt. Lid 1345COP, 2827, 11151COP, 11645COP available separately. Insert N347 available separately. Only for cold products. 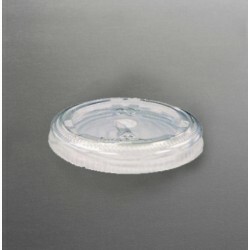 Bioplastic lid without hole, suitable for shaker 2749, 10176 and cups 1300, 1400,1500, 10051. Only for could and warm products. 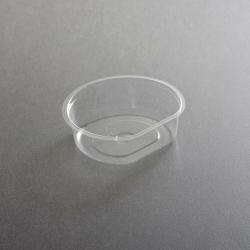 Bioplastic lid with 25 mm hole for teaspoon, suitable for shaker 2749, 10176 and cups 1300, 1400,1500, 10051. Only for could and warm products. Stackable bioplastic lid for shaker 2749, 10176 and cups 1300, 1400,1500, 10051. Only for could and warm products. No holes, no cross cut, suitable for shaking. 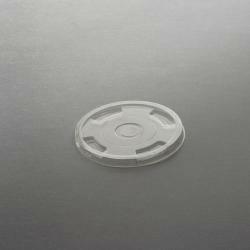 Stackable bioplastic lid with 12 mm hole for straw, suitable for shaker 2749, 10176 and cups 1300, 1400,1500, 10051. Only for could and warm products. The straw hole is closed, to be pressed for opening. Transparent PLA bioplastic insert, suitable to contain a product like muesli. Can be used on glass dessert 10051. Only suitable for cold products. Cupholders 2+2 seats in recycled cellulose pulp. Coupling two cupholders you get a 4-seat tray. See detailed description for cups type. Bioplastic professional flùte cup 100 ml, recommended for wine. Only for could and warm beverages. Suitable for plates cod. N462. Accept the processing of your personal data to be updated on offers and new products.